Would you like to buy more then 10 pcs of this product? Do not hesitate to contact us info@w8fitness.com and ask for your discount ! World Jumping Sport Bra – Exclusive Sports Bra with reinforced in the breast, high quality material, its skin-tight fit and ensures comfort for your training. Perfect body shaping and trendy design. 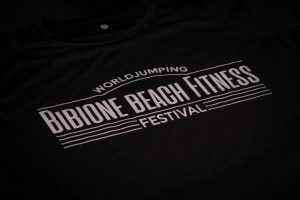 Bibione T-Shirt – Comfortable Men T-Shirt, high quality material with interesting design. You will feel relaxed and trendy. TINA LEGGINGS – Exclusive Sports slim-fit leggings, high quality material, its skin-tight fit and ensures comfort for your training. Perfect body shaping and trendy design. TRAINERS TOP – Regular-fit Top, simply design, high quality material, its comfortable for your training. Perfect body shaping and trendy design. Push-Up.